Here at Hillier Nurseries some things never change and, since 1864, growing the very best quality plants has remained at the heart of all that we do. Edwin Hillier, our founder, was a true Victorian entrepreneur, industrious and visionary. Edwin was born into a family of poor agricultural labourers. However, when his father took up a position as manservant in the household of the Rector of Kimpton, his family was able to live in the comparative comfort of a cottage on the estate. In his youth Edwin found employment with several leading nurseries and large gardens. Then, in 1864 and in his mid-twenties, he purchased a two acre nursery with a companion florist’s shop in Winchester. Things went well and in 1865 he acquired a further three acres of land, a year that also saw the birth of his eldest son, Edwin Lawrence. In 1866 Edwin rented 14 Jewry Street, Winchester and these new premises served as his shop, office and family home. Then, in 1883, the business moved again, this time to 95 High Street and a new and larger shop with rear storage and office space as well as accommodation for staff. Although floristry remained at the core of the shop business, hardy plants soon became the main business for the Romsey Road nursery with stove plants, grapes, peaches and other tender fruit being delivered by horse and cart to those larger houses in the neighbourhood which did not grow their own. At the same time Hillier also started to build a reputation for staging floral displays both in private houses and at civic events, Winchester being the county town for Hampshire. Gardening and landscaping services were also made available and these too were quickly taken up by the local wealthy residents. In 1883 Shroner Wood, a 130 acres site six miles to the north of Winchester, was bought and to do this Edwin borrowed £2,000, a sum repaid within a couple of years. Edwin then also purchased a further 15 acres of land adjoining the County Gaol in Winchester. It was this site, known as No.1 Nursery, which almost a century later became the location of the first Hillier Garden Centre. Edwin’s business acumen was sharpened by his ever-growing knowledge of plants and he soon became interested in plant breeding. He introduced the first Hillier-raised plant in 1875, Primula sinensis flore pleno ‘Annie Hillier’ which went on to receive the Royal Horticultural Society’s First Class Certificate in 1880. From this beginning the Company has been at the forefront of new plant innovation and raised over 150 new plants including such favourites as Ceanothus ‘Blue Mound’, Cotinus ‘Grace’, Choisya ‘Aztec Pearl’, Sophora Sun King and Choisya ‘Aztec Gold’. Edwin Hillier gradually passed the management of the business over to his two sons, Edwin Lawrence and Arthur Richard, who was born in 1877. Edwin died in 1926, five years earlier, in 1921, his grandson Harold, the eldest son of Edwin Lawrence, had joined the staff. Harold became a partner in 1932 and ran the nursery with his father and uncle from that time. He was to build upon the company’s strengths in every direction. Reminiscing on his childhood at the Shroner Wood Nursery Harold wrote, “I remember the days when my father, my uncle and the staff worked from 6.00 a.m. to 6.00 p.m., finishing at 4.00 p.m. on Saturdays, using hurricane lamps in the winter, early mornings and evenings. In the days of Shroner, this meant a walk of 6 miles before 6.00 a.m. Only if one was lucky was there a lift in a wagon. After a high tea, my father would work in the office at the back of 95 High Street, returning home in time for bed at 11.30 pm”. Between the two World Wars the Hillier business continued to expand. The gift of some newly introduced large-leaved Himalayan Rhododendron species from Lionel de Rothschild is said to have motivated the purchase of a plot of acid land near Chandlers Ford in 1926. Hitherto the nurseries had been sited on chalk. The company profile as a supplier of top quality trees, shrubs and hardy plants, was by now well founded. The Duke and Duchess of York visited in 1936, with just an hour’s prior notice. The first Royal Warrant of Appointment had been granted to Hillier and Sons as Nurserymen to HRH the Prince of Wales in 1935, to be replaced, on his abdication, by that to Her Majesty Queen Elizabeth. Nursery Stock was being grown on 80 acres in all by 1939. The Sarum Road nursery in Winchester had become the centre for the production of larger trees and these, some 25-40 metres high, were to prove useful as camouflage for aircraft hangars during the 1939-45 War. From this also sprang the inspiration to provide portable hedgerows that could be wheeled onto airfield runways between sorties and so disguise their purpose. After the War, the London South Bank 1951 Festival of Britain brought Hillier further acclaim, as its ability to transform arid sites into landscaped parks by instant planting of large trees, was shown to perfection. Harold Hillier, like his grandfather, combined the ability to think and act both as a plantsman and an astute businessman. He realised that gardening from the 1950s would become more “hands on” for the many living in the new housing developments, which mushroomed across the UK after the Second World War. The nursery’s mail order business grew and flourished, becoming nationwide during those days of cheap postage and packing. At the same time, as a connoisseur of plants, he wanted to establish a garden and arboretum dedicated to temperate zone “woody” plants, which would grow to maturity long after his lifetime. So, in 1953 with his wife Barbara, he moved the family from Winchester to Jermyns House in the village of Braishfield, two miles north east of Romsey. Here his love of trees was to flourish for the next twenty-five years, planting what was to become an internationally renowned resource for scholars, students and the general public. Here, too, his family of two sons and two daughters grew up with an unrivalled opportunity to learn about plants. Harold Hillier was knighted in 1983, five years after his remarkable arboretum had been gifted to Hampshire County Council. He had already been awarded a C.B.E. (Companion of the British Empire) and some of the highest accolades of the plant world – the Victoria Medal of Honour, the Veitch Memorial Medal, Honorary Fellow and Vice President of the Royal Horticultural Society, and Fellow of the Linnean Society. At his memorial service after his death in 1985, Lord Aberconway, President of the Royal Horticultural Society quoted the words on Christopher Wren’s tomb in St. Paul’s Cathedral when referring to Harold’s Arboretum – ‘If you seek his memorial, look around you’. During the 1970s and 1980s the company burgeoned in several directions. The local authority, or amenity market, found in Hillier a company who could supply what they needed: trees and shrubs in volume and in a variety of sizes. 270 acres of deep, sandy loam at Liss in east Hampshire were purchased in 1984 to meet this demand. Production needed to keep pace and Hillier forged ahead, investing in new techniques of propagation, equipment and tailor-made, state-of-the-art glasshouse and growing areas. Green to its fingertips, the business was quick to establish its environmental credentials with re-cycled water, biological control and the use of bio-safe insecticides. Garden centres were now springing up across the country. Hillier’s first, in Winchester, was trading from the mid 1960’s and was further developed in 1971. 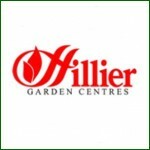 The Company had never lost touch with the small gardener through its mail order service but, as garden centres became big business throughout the UK, so its mail order to the individual retail customer was replaced by a network of Hillier Garden Centre stockists in 1992. However, the Hillier catalogue remains in folk memory and its spirit lives on in Harold Hillier’s Manual of Trees and shrubs. In the 21st century, leading up to the 150th birthday of Hillier Nurseries and Garden Centres, every member of staff within the company recognises the achievements of the past, understanding that the business must continually adapt to an ever-changing market place. We continue to strive to supply plants, gardening accessories and services of the highest calibre, goals that have not changed since Edwin Hillier’s vision in 1864.